After sixteen years as P.R.O. for the club I find I am running out of superlatives to say about this team. One year after the other they never cease to amaze me with their ability to meet the challenges which are put in front of them. Seven points down after twenty minutes and defeat staring them in the face, they refused to yield and by the half time whistle were back on course. Conditions were far from ideal for the game with a gale force wind blowing down the field interspersed by heavy showers of rain and sleet. Our opponents won the toss and opted to play against the wind and from the throw in they took control. Dominating around the middle of the park the soon had us on the back foot and opened their account with a point from play. Although having plenty of possession they failed to add to their tally and Aaron Kernan equalised with a point from a free after ten minutes. That was as good as it got for us as the Kerry side dominated the next ten minutes scoring a goal and four points in the process. With ten minutes of the half left came in my opinion the pivotal moments of the game, management introduced David Mc Kenna to the midfield area while Oisin kicked a good point to bring us back into the game. He quickly followed up with a great diagonal ball to Mickey Mc Namee who still had a bit of work to do but he clinically finished to the net. Dr. Crokes responded with a point from play but we finished the half with two points from frees by Oisin Mc Conville and Aaron Kernan. Half Time Score Rangers 1 -4 Dr. Crokes 1 -6. On the resumption and playing into the strong force win it was Rangers who were first out of the traps and opened the scoring with a great point from David Mc Kenna. The next ten minutes were all Rangers and a good goal from Stephen Kernan put us in front for the first time this score was quickly by points from Aaron Kernan and Jamie Clarke to consolidate our lead.At this stage we lost a player and taking advantage of this and of the heavy hail shower our opponents scored a goal and a point to the leave the sides level with ten minutes left to play. It was now back to the wall stuff and it was now that the team showed its never say die spirit a great goal by Aaron Kernan put is in the driving seat and an excellent point from Aaron Cunningham was the icing on the cake . The game finished with our opponents scoring a point from a free to leave the final score Rangers 3—8 Dr. Crokes 2—8. This was an excellent all round team performance with everyman giving their all with young and experienced players making vital contributions. The game was played in a very sporting manner and one would wonder why all the fuss before hand. The team returned to the club to a rapturous reception and a great night was had by all. Good Wishes Our good wishes go to one of our most loyal supporters Tommie Magennis who is ill at the moment and was unable to attend yesterdays game. We hope you will be able to attend the final. It would not be the same without you. 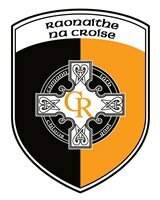 Training Fund The club were delighted to receive two very generous donations from supporters in Belfast and Crossmaglen, they were very much appreciated. Club History The club are updating the history of the club by producing a D.V.D. We are particularly interested in people who have Photographs or records relating to the early years of the club. If you feel you have information no matter how little, please pass it on to any member of the committee or contact Tony Brady@0876929783 or Tom Mc Kay@30861043. Lotto The club lotto provides much needed funds for the day to day running of the club and your support is greatly appreciated. With the club involved in the championship final expenses have dramatically increased. To provide a full kit for the team cost over £1500 to hire afield to play a game under lights cost £160 other costs such as transport, first aid, catering help to swell the bill so it is vitally important that members continue to support this fundraiser. Tickets cost £1 and can be purchased from local shops or any member of the committee. If you feel you can help out by selling tickets no matter how few please contact Peadar Mc Coy or any member of the committee who will provide you with a book. Cairde Raonaithe Na Croise Our club provides facilities for twenty four teams. In order to meet increased demand and provide facilities which our young people and members deserve the club are embarking on the second phase of our development programme. In order to do so the club must raise a large amount of money. Members can help out by joining Raonaithe Na Croise and agreeing to donate £20 per month for three years. By pledging your support you will be helping your club meet the challenge of the future. Social Entertainment Social entertainment continues in the Rangers Hall on Monday nights. The club organises this event as a social event to give to give people an opportunity to come together to enjoy an evening of conversation and fun so why not come along and give it a try. Membership Now is the time of year for the renewal of membership, members will be pleased to note that for the fourth year in a row their has been no increase in fees. Membership fees are Family £30, Adult £20, Students and Senior Citizens £5. 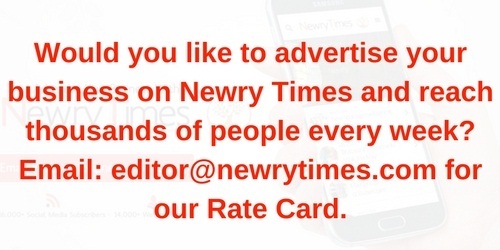 Membership must be paid by the 31st March and be paid to Peader Mc Coy or any member of the committee.